Apple crisp a la mode. Fresh baked apple crisp with vanilla ice cream and homemade caramel sauce. 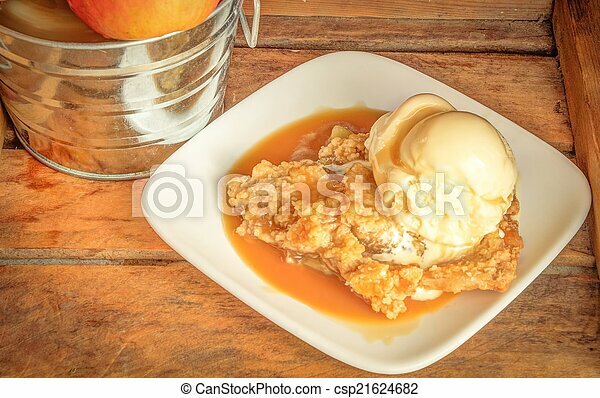 Fresh baked apple crisp with vanilla ice cream and homemade caramel sauce.